Two years seed supply The more we take responsibility for our own food the less prone we will be to natural or technological disasters. Start now to grow some of your food and learn to save seeds and exchange them. A lifetime garden can result A cottage garden, even a window box, keeps growers in touch with nature. It is self empowering. Eat what is in season and preserve surplus and exchange with friends and neighbours. Wouldn't it be good if there was no longer any need for Eden Seeds to be concerned about our endangered food heritage? 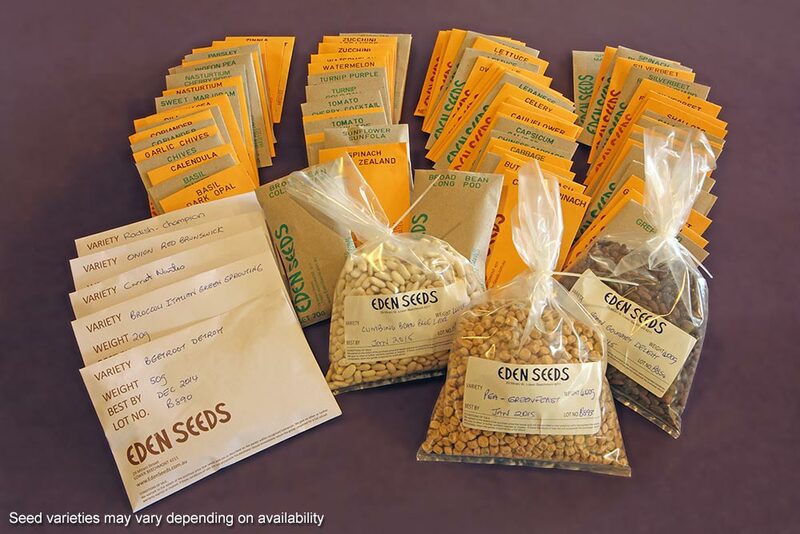 The following seed is included in the Towards Self Sufficiency collection. The variety selection is our choice.